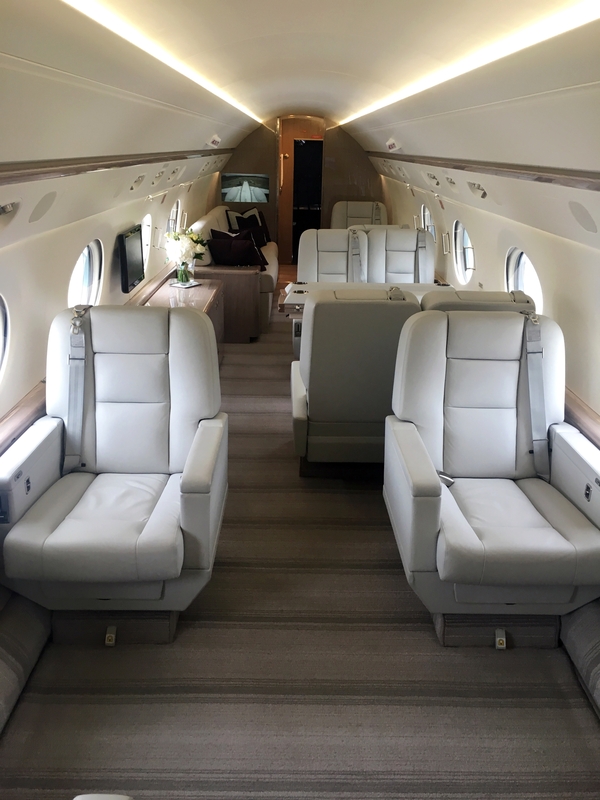 From the moment you board the Gulfstream G550, the cabin enchants. Everywhere you look, everything you touch, you find craftsmanship and attention to detail. The gleam of the finishes on the ledges and tables. The sparkle of goblets and flatware. The high-definition quality of the video equipment. Each element of the Gulfstream interior is exquisitely designed for one purpose – to charm. 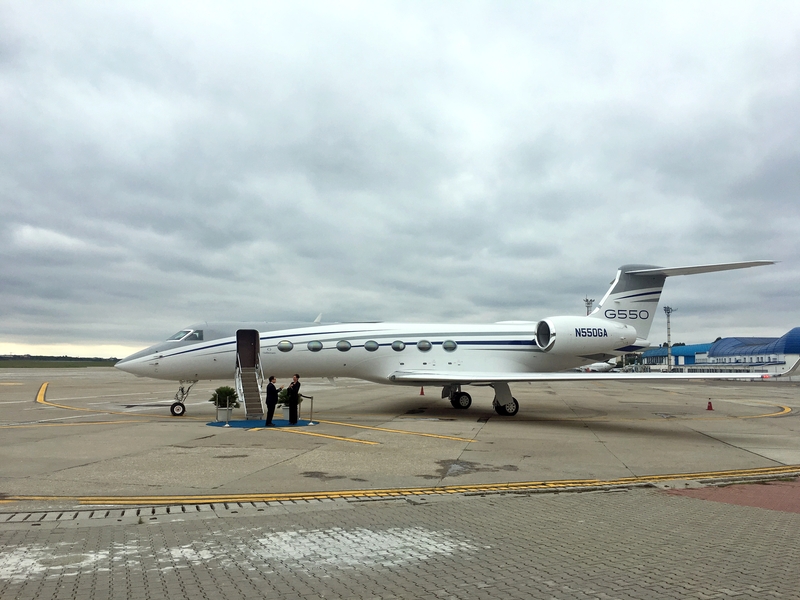 Long range jet travel should be comfortable and Gulfstream definitely knows how to achieve the ultimate level of comfort. That feeling begins with four living areas surrounded by the unique Gulfstream experience – a soothing, refreshing combination of 100 percent filtered fresh air, low cabin altitude, radiant light from the signature oval windows and a serenely quite cabin.  The aircraft can sleep up to eight passengers or, for the ultimate in personal comfort, design flexibility offers the choice of creating a private stateroom. Capable of changing hemispheres easily with its nonstop range, the G550 journeys in and out of remote destinations masterfully. Whenever, wherever opportunity calls, you’ll be there. And you can fly your team with you. 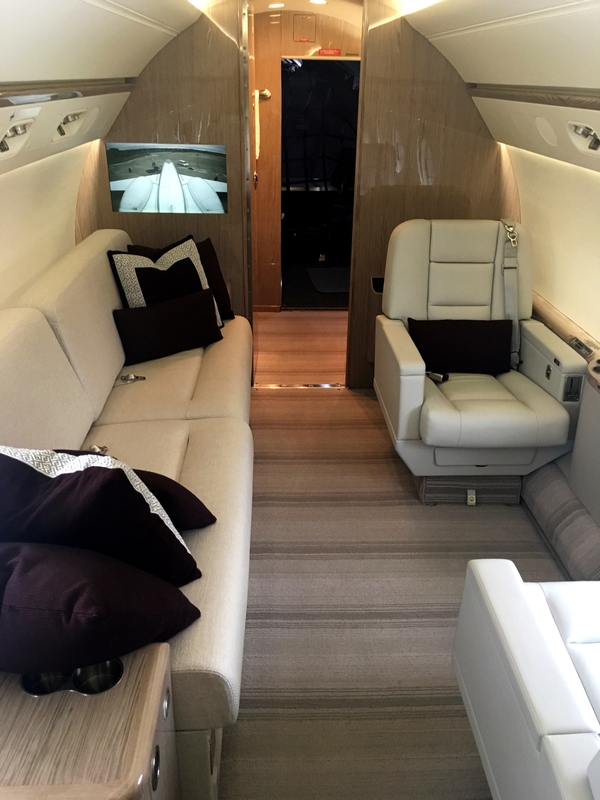 Moreover, the G550 is a fully connected corporate suite powered by the momentum of high Mach speed. 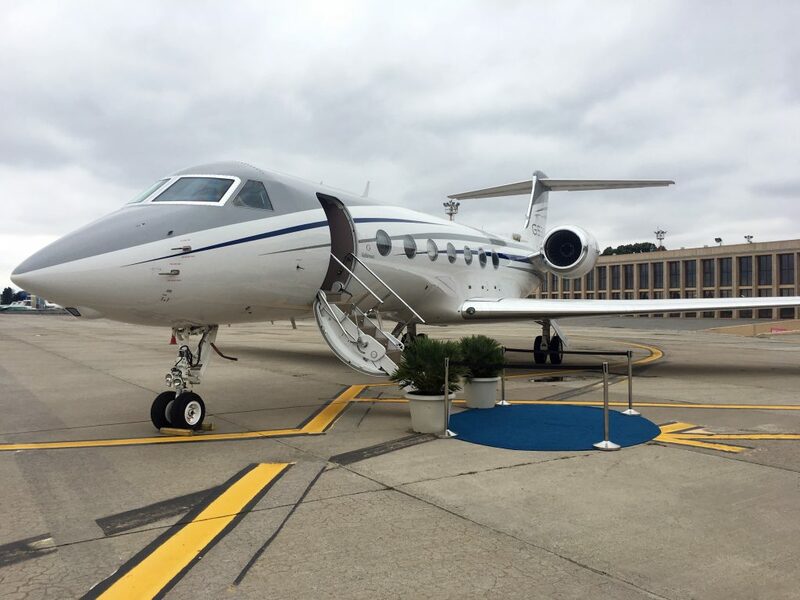 Outfitted with the latest communications equipment, the G550 keeps you in control, even at 51,000 feet. You will never miss a call or a meeting. Brilliant, swift and sure – a triple combination the G550 introduced to business aviation through state-of-the-art technology. The PlaneView flight deck streamlines and organizes data for pilots and presents it in crisp displays that reduce pilot workload and improve situational awareness. The Enhanced Vision System and optional Synthetic Vision-Primary Flight Display further revolutionize flying by using infrared light and 3-D graphics of terrain to greatly define approach and landing areas.